I usually like to mix listening to the established artists that I know and love with finding new music and trying to discover new artists. Music discovery takes time though, you have to sieve through a lot of different artists to find someone that you connect with. This week, I was browsing through some of the artists on LoudUp when I came across Kenesha. She has a song called ‘Hey I’ which I really loved. She lists some of her influences as India.Arie and Tracy Chapman which totally explains why I like her (I definitely need to do a future post about India.Arie – I’m a huge fan!). With the track ‘Hey I’, it has that acoustic laid-back story telling vibe I love, punctuated with perfect harmonies and percussion, it’s really beautiful. Have a listen if you’re looking to check out some new music. In case you missed the announcement (I’m not sure how you could have! 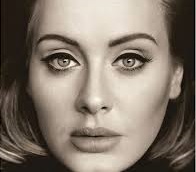 ), Adele has returned with a brand new album after a 4 year hiatus! Much to an incredible amount of excitement! Hello – the debut single from the album, came close to breaking the internet with the video crossing 100 million views on YouTube in just 5 days! So let’s come back to the album. Titled 25, it got record-breaking sales within the 1st week, breaking the record for the fastest selling album in the UK ever! Quite a wonder as Adele refused to release the album to streaming services. And they say no one buys music anymore…! The album was released a couple of months ago, so why am I only talking about it now? Well, I had to hold off on buying it for a few months so I could request it for Christmas. My siblings struggle on what to buy me, I’m just not a very materialistic person I guess so I held out on this and Coldplay‘s new album to give them a few options! So what’s the verdict? 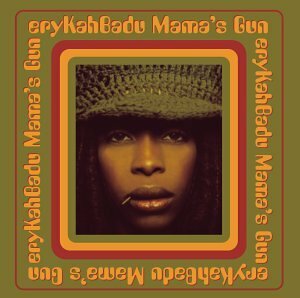 It takes me a few listens to get into an album so I need a bit more time to digest it, but already there are a few tracks I really love! ‘When We Were Young’ jumped out at me instantly! And it’s not often that happens to me. I listened to tracks 1, 2, 3, and then got to 4, then hit rewind, hit rewind, hit rewind again, let’s just say I stayed there for a little while before continuing with the rest of the album. Another track I instantly loved was ‘Million Years Ago’. The stripped-back vibe, lyrics, and just everything about the track is perfection for me. I watched a replay of a live performance she did recently called Adele at the BBC and it made me excited to hopefully catch her live soon! I can’t wait to spend some more time with this album, I already feel I’m going to love it every bit as much as I loved her 21 album. Yep…Adele is well and truly back! There’s something about hearing something you love described as old that can make you feel really…well quite old! That’s exactly how I felt this week when I read an article about how kids these days refer to my beloved LP (Linkin Park) as old people’s music! Yep…really! I consider my music taste to be quite alternative – ok yep I did confess to loving Coldplay, but Linkin Park are alternative right? I’m a big hiphop fan and that progressed for me into the rap-metal scene although none of the other bands in that genre did it for me quite like LP did. I think I actually got into them majorly around the time they did their Collision Course album with Jay-Z back in 2004 (ok so maybe I’m getting where the old label is coming from…). I went back and bought their previous albums Hybrid Theory and Meteora after that and loved them. That love has stayed with me til this day. I own and love every one of their albums and have seen them live 3 times now (one of which was at a festival and Jay-Z joined them onstage, it was pretty epic). One Step Closer – this is one of those tracks that gets all the frustrations out!! The part when Chester screams…’Shut up when I’m talking to you!!!!!! !’ – it just does it for me! Waiting For The End – this is the track that I repeat the most – literally 5 times in a row sometimes! The way the track builds up and then goes crazy at the end, you need to just experience it for yourself, I don’t think I can describe how incredible it is! Hands Held High – ok so obviously being a hiphop fan – this is probably their track that is the closest to the genre but that aside, Mike’s raps are both incredible and insightful, and the simple piano backing makes it even more memorable. This is probably their most political track with Mike making his opinion known on George Bush and the war against Iraq. Leave out all the rest – one of their more mellow songs but the lyrics are really heart-felt and Chester’s voice really shines on it. I’ll leave you with the video for one of their most popular tracks – Numb! With the level of global success they have had, the reception they have received has always been surprisingly mixed! Some people really love and rave about them, while others hate them. Common criticisms are that their music is boring, bland, their songs are too slow, their music is depressing…you get the drift! Their melodies – you can’t deny it, their songs are damn catchy! Chris Martin’s voice – it captivates you so easily, taking you on the journey in the story he is telling. Their songs are relatable – ok so their lyrics may not be the deepest, but you can relate to them. They sing about real life emotions that everyone can relate to. Some of their songs are vague to the point where they can be compared to modern art where different people may read different meanings into it. They care about their fans – I have been to a lot of gigs in my time, and they are still in the top 3 of live performances that I have been lucky enough to experience. Their live set is incredible, and as a fan, you definitely leave feeling like you got what you came for and a whole lot more! They are low-key – you don’t see them falling out of clubs, streaked all over the cover of tabloid newspapers with some scandal or another, or being vocal about other bands they don’t like *cough* Noel Gallagher *cough*! 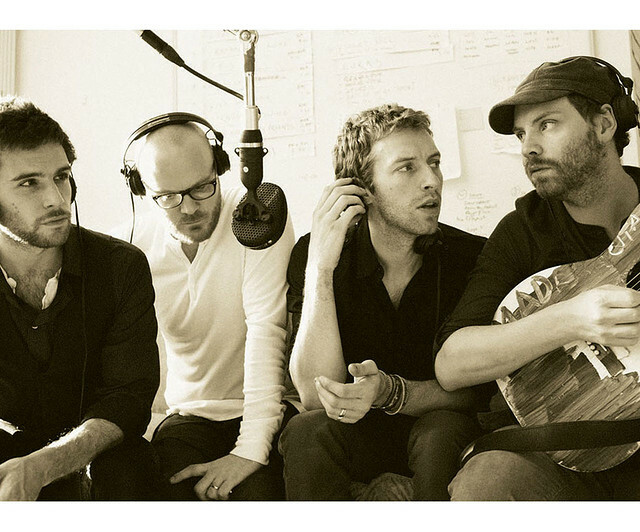 Coldplay are simply about the music. Nothing contrived and no attempts at attention seeking. Sometimes I wonder if people hate Coldplay just because it is seen as cool to hate them. When a band is so big, there are some who would feel that their level of success is somewhat cookie-cutter. Coldplay don’t fit that mould though. They aren’t manufactured by any means – they write their own songs, play their own instruments, and it is clear that they are passionate about the music they are creating. With the longevity they have enjoyed, as well as the number of hit singles and awards over the years, surely even the haters have to admit that there is something there!